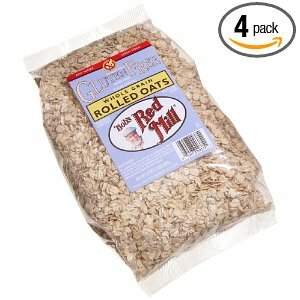 Right now you can get Bob’s Red Mill Gluten-Free Rolled Oats for just over $2/lb shipped to your door! Use the Promo Code BOBSGFO5 for an additional 5% of – $16.56, or $2/lb! Be sure to check out what else is available as Amazon has an amazing deal going on right now in honor of Celiac Awareness Month where you can get up to 30% off their gluten-free products! Aren’t oats already gluten free? Oats in their natural state do not contain gluten. Production practices in the United States usually have cross contamination issues with wheat (gluten). You cannot guarantee that the oats are gluten free unless they are certified gluten free. I just ordered this- what a deal. Thanks for the tip!